We highly recommend you stop and smell our potions! At Yoga Potion we take great pride blending with only the finest ingredients. The oils are bought from all over the world to yield the best quality and therewith the best results for natural healing. Lavender and Pink Grapefruit oils from France; Lemon oil from California; Basil from Tanzania – Our collection of oils is truly outstanding! 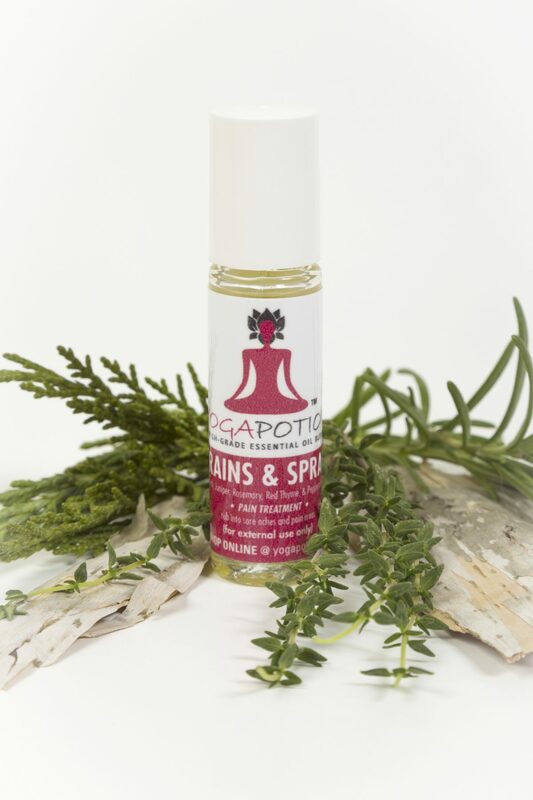 One whiff of any of our blends, immediately inspires people to use and share these products, spreading their healing benefits. All of our products are hand made – we are not a manufacturer. We take time to assure the creative process of blending is set into production with respect to the proper ordering of ingredients and timing of preparation. Our balanced healthy energy is necessary to align with and respect the essence of the oils, ensuring the synergistic blends come to market with their purest potential for healing effects and aesthetic enjoyment. Our Goal: Never compromise quality. Understanding that primary principal, Yoga Potion’s inventory will differ at times: depending on the availability of Oils. If you see your favourite blend is temporarily out of stock, please understand we are working hard to find other resources that meet our standards, and therewith ensuring your satisfaction of quality. Please remember, we are dealing with natural products from very select areas of our World, and variables from climate (the whims of Nature), to foreign political concerns can make attaining the right oils challenging. Anita’s vision is to have the complete Yoga Potion collection available everywhere to everyone, so that everyone has available to them the healing benefits of essential oils. 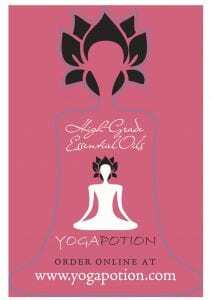 With the work of her teachers, and her determined effort to promote a healthy, and happy lifestyle, both through her own experience and almost 20 years of study and application, Anita presents Yoga Potion – the purest quality essential oils & blends, wrapped in a creative and fun presentation with educational tips on use, actualizing the potential healing power of essential oils. This is Anita’s life work. Anita Cole is the creator and founder of Yoga Potion as well as the creative inspiration behind the potions of Yoga Potion. Anita began her career in the holistic healing arts in the mid 1990’s on a personal health quest. After experiencing a serious health scare she was intuitively drawn to natural healing alternatives, specifically plant-based medicines and the healing power of Essential Oils. Wherever possible, Anita began adding & supplementing these techniques while working with the traditional medical practices for treatment. The traditional treatment prescribed through surgery, while successful, was observed to have very noticeable, striking results with an unusually fast recovery time. In Anita’s foray into the holistic health practices, and the wonderful success she experienced first hand, it was natural for Anita to make a career change along with a lifestyle change. It was while in Calgary in the late 1990’s, that Anita then met her teacher and mentor, Master Herbalist Blaine Andrusek, beginning an on going education. Today, Anita is honoured and privileged to work closely with Blaine as both Mentor and friend. His work is highly evolved and focused on the educational aspect of essential oils and herds (Blain is faculty at The Wild Rose College with over 300 unique recipes behind him.) 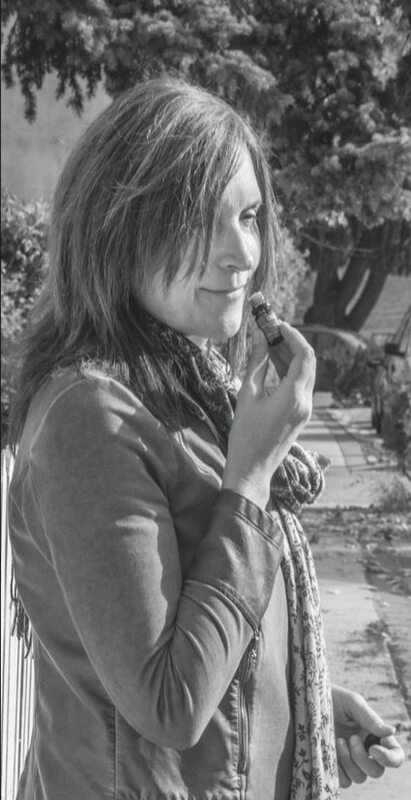 Recognizing and respecting his work and demand for quality, Anita has always trusted Blaine as the source for her personal supply of essential oils. Anita’s work in essential oils came to the forefront in 2004 when she met her Yoga Teachers from India and became a certified Yoga Teacher, traveling internationally, and then a yoga studio owner. In all of these settings, Anita found herself calling on the healing powers of the oils to address conman ailments and complaints that would repeatedly come up for healing – The oils helped with sore muscles, with headaches from dehydration, they helped with nausea from toxicity being cleaned out of the organs. 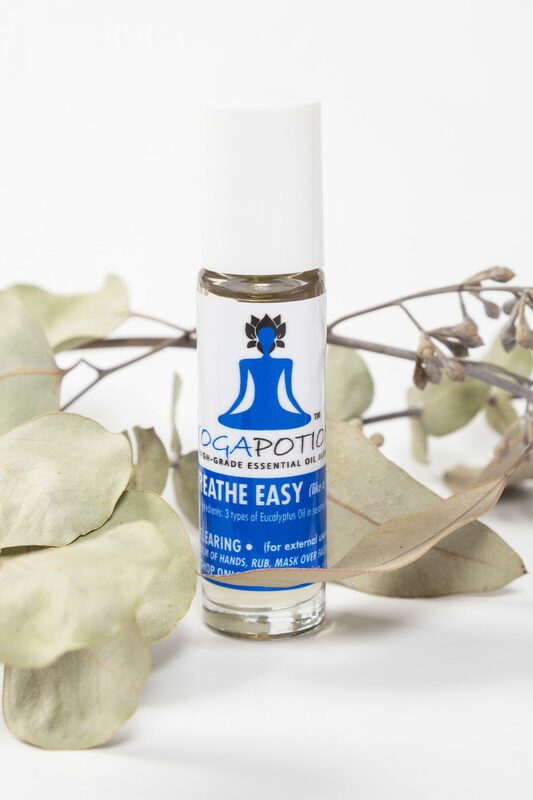 During this time Anita also noticed the oils helping improve her focus – and not just to get into the room and continue her on-going yoga practice, but offering a more relaxed sense of well being allowing her get into her Yoga practice. Anita’s blends were created for her personal use, her needs, but as a yoga teacher, she began sharing this personal collection with her students to offer the same relief; soon she also began sharing Blaine’s blends (bringing together both essential oils and herbs, for conditions like eczema, rosacea, and damaged skin.) It was then that Yoga Potion was named & labeled – branded. Anita’s dream is to have the complete Yoga Potion collection available to everyone, so that everyone has available to them the healing benefits of essential oils. 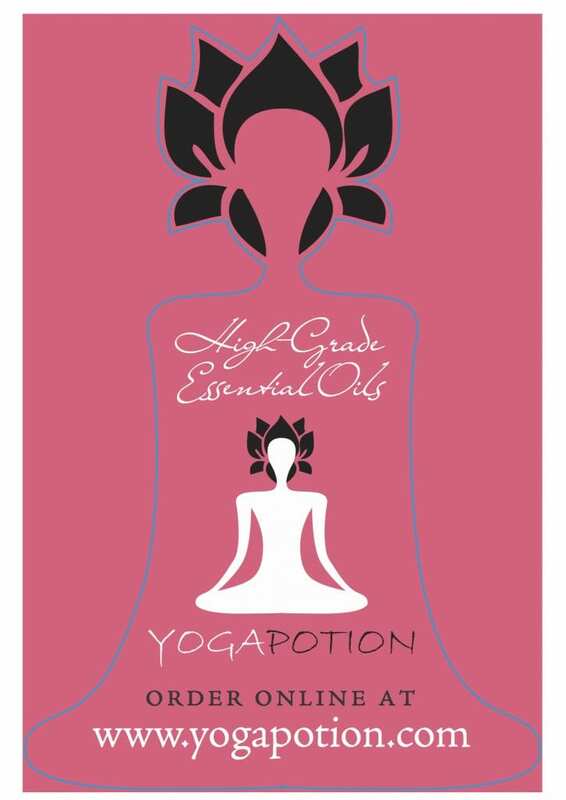 With the work of her teacher, and her hard efforts to promote healthy, and happy lifestyles to the masses, through her own experience and teachings, Anita brings Yoga Potion in its purest quality, wrapped in a creative and fun presentation, with educational tips on use, and always respecting the healing power of essential oils. Her life work. Anita reminds us all that one does not have to do yoga to use Yoga Potion products. Although she also acknowledges that without her yoga practice, and her yoga teachers, Yoga Potion would not have become a reality. She highly recommends Yoga to all, and is grateful for all her teachers that have brought her to her life purpose and the discipline of Hatha Yoga to see this purpose through for the benefit of all. Stephen had been teaching and practicing Vedanta and Hatha Yoga for some time when he first met Anita as a yoga student in his Yoga School in 2004 when she was on her way to her Yoga Teacher Training. Stephen was immediately impressed with the essential oil blends Anita was bringing into the studio and practice room for her personal use, and more and more for the increasing number of students who insisted she share her “potions” – He quickly realized there was more to the oils than their wonderful fragrance and began integrating them into his own practice, and daily life. Stephen plays a creative role in the overall development of Yoga Potion, and an administrative role in the day to day operation of Yoga Potion. 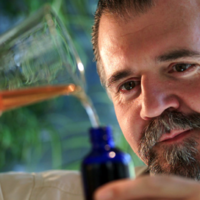 Yoga Potion is proud to present Blaine Andrusek – Master Herbalist. Blaine is faculty at the Wild Rose College in Calgary Alberta. He has been teaching all manner and aspects of Herbal medicine since 1981; including Herbology, Wilderness Survival, Botany, Herbal Pharmacy, Aromatherapy and Wild-crafting. 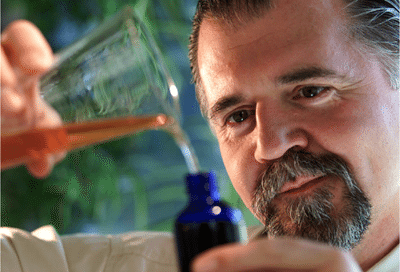 With over 300 unique Herbal/essential oil blends, his life work is now focused on education. Blaine sources all the ingredients for yoga potion, supplies recipes for some of the blends, and is responsible for all large volume blending.